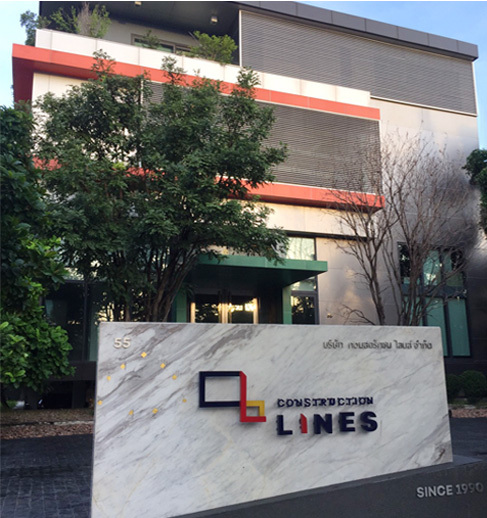 Construction Lines Co.,Ltd. (CL) was founded as a construction contractor in 1990. Since then, our intensive experiences have included design and construction of building facilities such as shopping mall, office, education building, car showroom, condominium, factories, hotels and resorts. We have grown into one of the leading contractors in Thailand.Presently, we offer our clients and play active roles in three major categories. Large shopping malls with area over 100,000 sq.m. CL has 15 ongoing projects and employs more than 500 engineers and professionals. Our facilities include a modernized fleet of equipment and pre-cast factory in 36 rais area. For more than 25 years, we always address our clients actively to satisfy their needs. We continue to develop our standard of expertises and commit to the process of partnership-based cooperation. Our services along the entire value chain of construction have gained trust by public company property developers including AP (Thailand), Sansiri, Supalai, Central Pattana, Land and Houses, SC Asset and Q Houses. We are determined to achieve the leading position and committed to the construction business excellence by cooperating with the best partners and continuing development of our people.